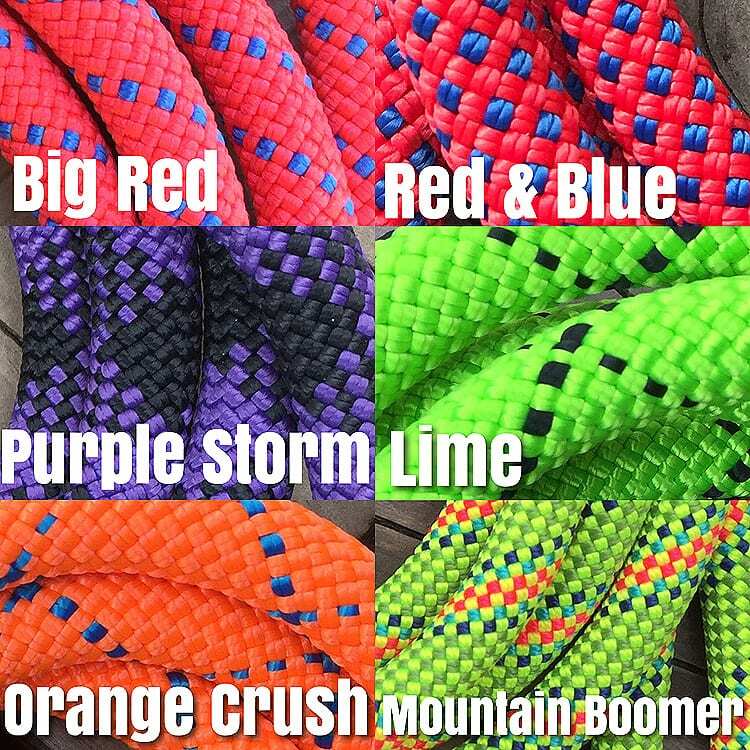 Mountain Boomer Climbing Rope Dog Leash designed for medium to extra large dogs. Big dogs don’t always have a selection of cool leashes to choose from that are also reliable and strong. 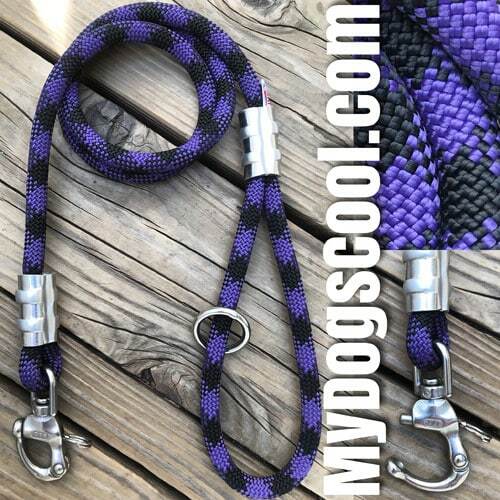 We wanted to change that and think this addition to our line of custom dog leashes is well suited for most medium to extra large dogs and certainly qualifies as being a cool dog leash! 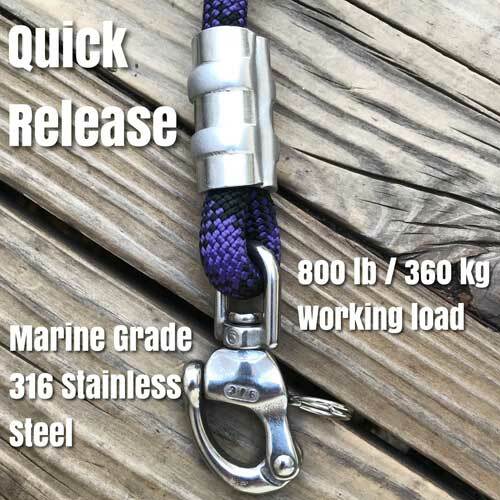 Pricing starts with our four foot walking leash and stainless steel clip. 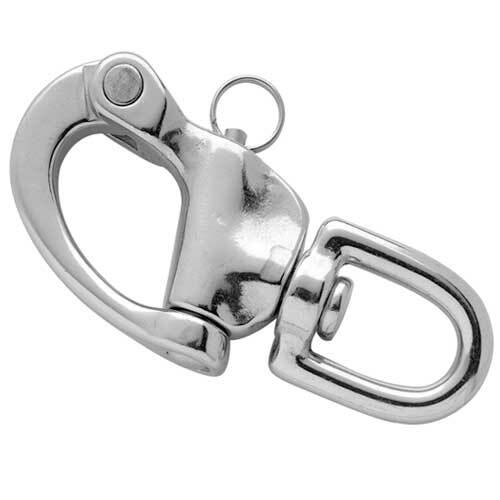 We offer an optional CE rated locking carabiner as well as custom lengths for training. 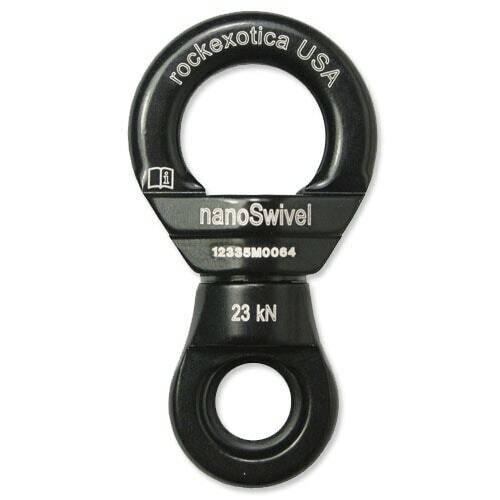 For the ultimate in dog leashes we have a combination nanoSwivel & carabiner that would make this leash exceptionally strong and easier to use with extra large dogs that like to pull. 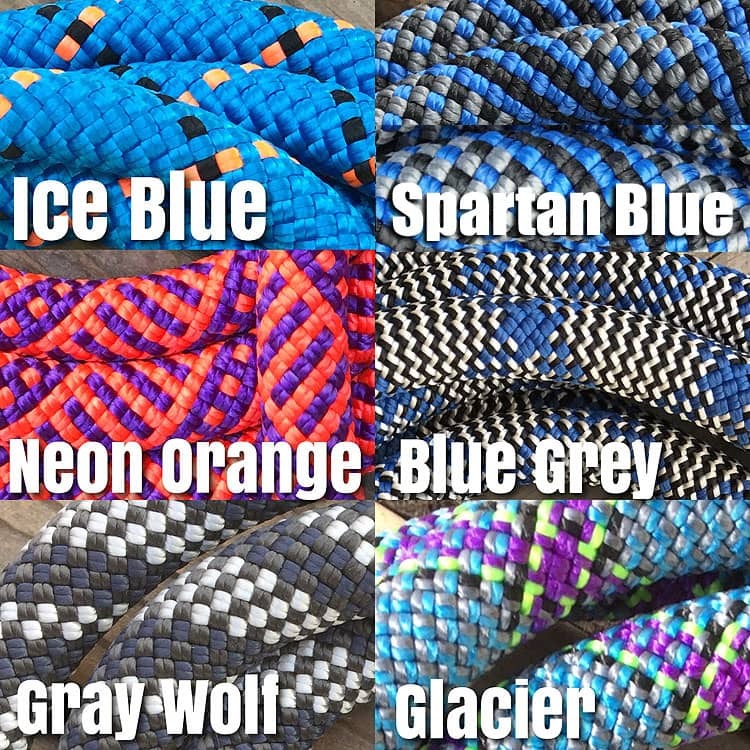 The materials used to build our Mountain Boomer Dog Leash are top of the line. We do our best to build custom dog leashes using materiel that we know to be strong, reliable and awesome! 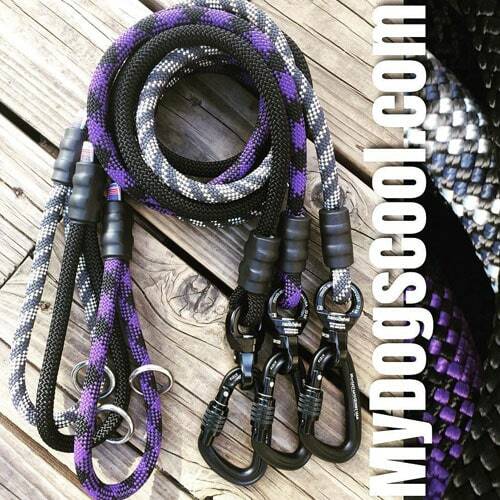 The equipment used in rock & mountain climbing are tested and proven and we find that they are also excellent when used to build custom dog leashes for big dogs. If your dog is leash trained you may find that a four foot leash with stainless steel clip will work perfect. The clips we use are 316 stainless and stronger than similar styled clips. If you are training a new dog, a six foot leash may work well for you. We offer a few different lengths to best suit you and your dog. 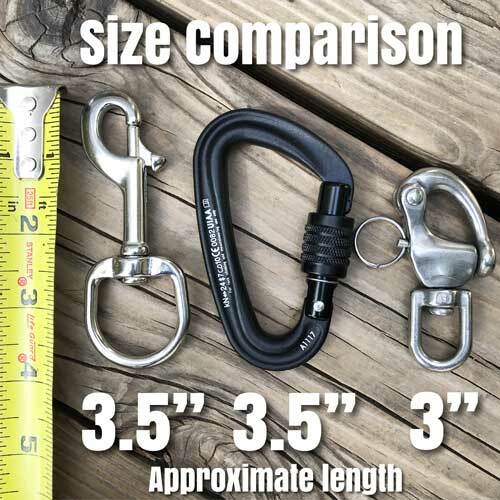 Carabiners give the extra strength and peace of mind if your big dog has a tendency to get overly excited in certain situation where maximum control is a must. Your dogs leash is its lifeline between you and harms way so don’t hesitate to contact us with questions. We want to be sure that your custom dog leash is exactly what will work best for both you and your big dog. Great item. Sturdy components (I took the carabiner option) and high quality work. Nice extra touches, the made in the USA tag is tastefully done and works well with the design. Shipping presentation was fun too. Would buy again.